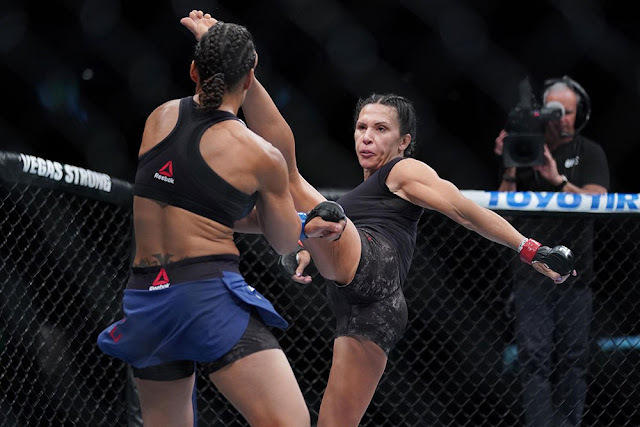 The idea that absence makes the heart grow fonder in mixed martial arts is frequently up for debate, but what’s not up for debate is the elation that Cat Zingano felt when she welcomed the feeling of winning back to her career at UFC Boise, when she picked up a unanimous decision victory over Marion Reneau. Zingano looked like she was back to her old form for the first time in years, and with this victory, Zingano positioned herself to become a contender in two divisions at the same time. First, there’s bantamweight. Zingano was ranked outside of the Top 5 of the UFC's divisional contendership rankings before her bout, but she should expect to move into that group with this win. Although this was Zingano's first win in nearly four years, the inactivity of both Juliana Pena and Germaine de Randamie should play into Zingano’s favor. But that belt is on the shelf for now, as the UFC is planning to book a superfight between UFC Women's Bantamweight Champion Amanda Nunes and UFC Women's Featherweight Champion Cris Cyborg. With that bout being targeted for UFC 232 in December, there’s no way for the women`s 135-pound title to be defended until the end of the first quarter in 2019. In addition, there is a contender at 135 that Zingano can’t leapfrog in Ketlen Vieira. 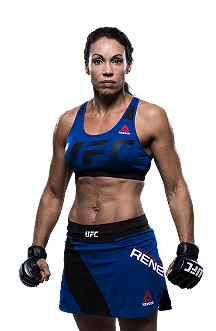 Viera defeated Zingano at UFC 222, and with a record of 10-0, she gives the UFC the opportunity to push a new face to the forefront in the women’s bantamweight division, either early next year or if something occurs that nixes the planned matchup between Nunes and Cyborg. There’s nothing that Zingano can do to remove Viera from that position. Zingano is the last person to defeat Nunes, but her recent struggles, combined with her time away from the Octagon, make it difficult for the UFC to place her into a bantamweight title fight organically at this juncture. So the question for Zingano is how does she cement herself as a top contender, if not at bantamweight, at 145 pounds? 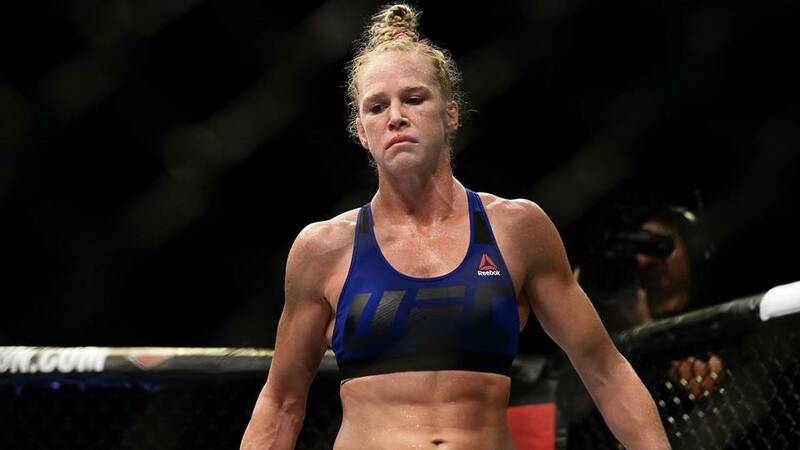 That path runs through none other than former UFC Women's Bantamweight Champion Holly Holm, a fighter who is in an intriguing position in two divisions. She’s currently the #1 contender at bantamweight, but she just picked up a win over Megan Anderson at 145 pounds, potentially making her the #1 featherweight contender as well. Zingano could call out Holm, and if she picks up a victory over her before the close of 2018, that would help her secure a position at the top of the ladder. She’s talked openly about being willing to face Cyborg, as well as about her struggles with making the bantamweight limit. Even though she’s never officially missed weight, she’s one of the more physically imposing women in the division, and it would be intriguing to see her employ her “wrestling-first” style at a higher weight class. Holm has been mixing more wrestling and grappling into her skill set, but Zingano has the experience to negate that. However, the question then becomes whether she can handle Holm’s striking. Nonetheless, picking up a win over Holm is a quick ticket to top contendership in either weight class. Cat Zingano has experienced struggles recently, both inside and outside of the Octagon. Her victory at UFC Fight Night 133 was a big moment for a career that was teetering on the brink of UFC release. But if she can find a way to get a fight against Holly Holm before the end of 2018, she can turn that completely around, and we could be talking about Zingano becoming a top contender in two weight classes at the same time. 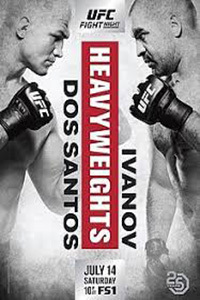 UFC Fight Night 133: Dos Santos vs. Ivanov took place July 14, 2018 at CenturyLink Arena in Boise, Idaho.